Paris, Oct 6 (IANS) French President Emmanuel Macron on Thursday offered mediation to help ending the political crisis between Baghdad and Erbil, urging both parts to start talks soon. “France has always been extremely sensitive and concerned about Kurds’ situation, but we want the stability of Iraq, the territorial integrity of Iraq and a strong state in Iraq,” Xinhua quoted Macron as saying. “It is vital in the coming weeks and months that a dialogue begins that respects the unity, integrity and sovereignty of Iraq within the framework of the constitution and recognising Kurdish rights,” he added. “We do not want an armed confrontation, we do not want clashes. However, the federal authority must prevail and nobody can infringe on the federal authority,” he stressed. On September 25, Iraqi Kurds voted for independence in a referendum that Baghdad described as illegal, warning that such a move would fuel tension in the country where military forces are still fighting IS near the border with Syria. 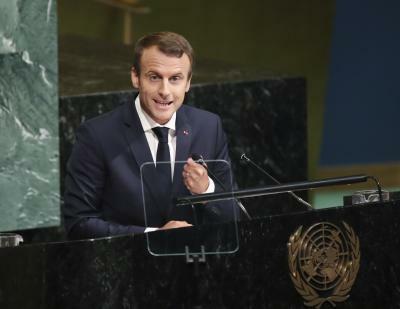 Meanwhile, France said it would maintain its military commitment in Iraq until the Islamic State (IS) was completely defeated and as long as necessary. “We will continue till the end and as long that the Iraqi officials will consider it essential,” Macron added. France was the first European country to join US-led coalition in September 2014 to strike IS terrorists at the request of Iraqi authorities.